My guess is the part in the corner hasn’t completely dried yet due to the fact that it probably doesn’t get as much direct sunlight or air flow. 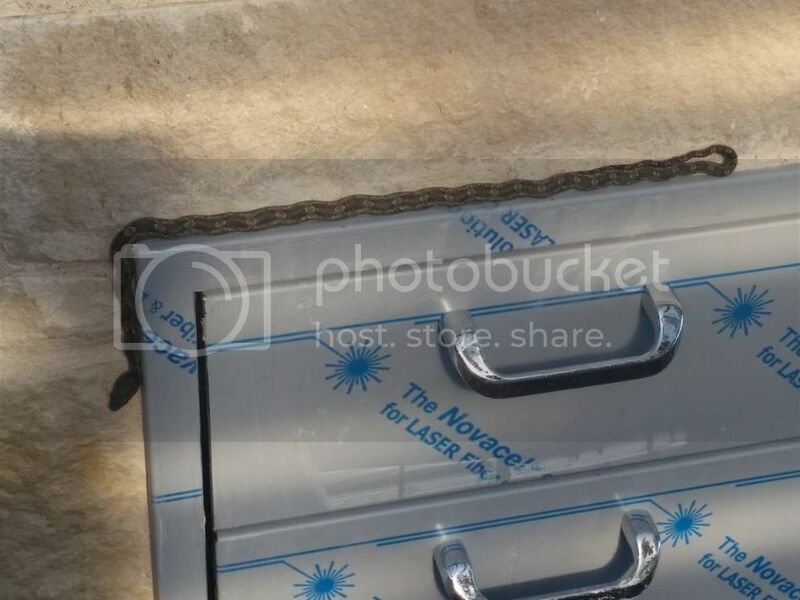 But this is strictly speculation based on what I can tell from the pics. I bet it will be fine. Looking real nice Slick. Real nice. Thank you. I hope you are right. Everything is turning out beautifully! Very impressive addition sir. with envy! Thank you. The television was hung today and we are really satisfied with that. The sound is ran thru a stereo receiver and has a couple of nice outdoor speakers. Just so happens the receiver has Bluetooth so I can sync to our phones to it and play our music. It's still hot as he!! here and I haven't gotten a shade cloth hung, so we enjoy what we can in the mornings. The flagstone floor still has that two-tone look to it and we are not satisfied with the counter tops either, so I have a pro coming in next week to look at them. I'm sure hoping he has a magic touch. Sure enjoy watching your progress. Very nice setup. Outdoor luxury living at its best. Had to relocate another critter. I also enjoyed an adult beverage and the game. slick4591 wrote: Had to relocate another critter. I realize I'm colorblind, but dang, that is GREEN! It's all that fighting Irishness. slick4591 wrote: It's all that fighting Irishness. 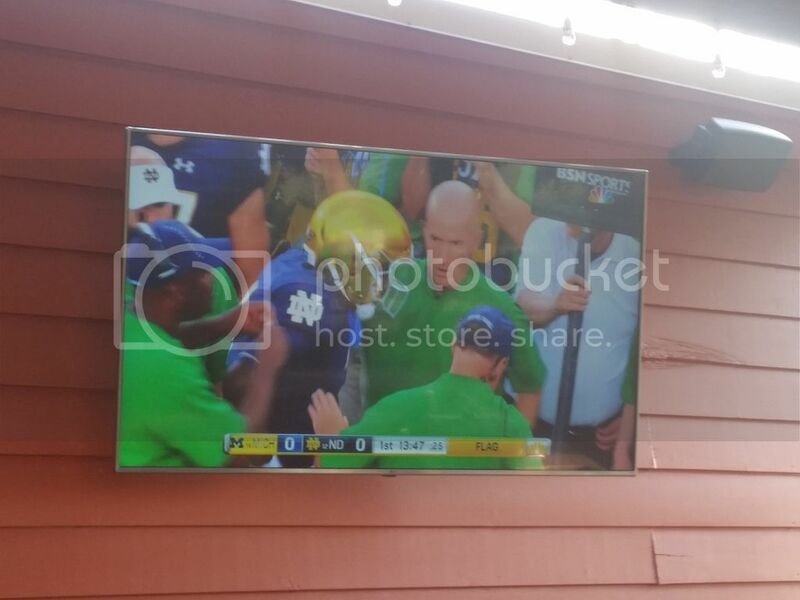 Glad to see the Irish could break that TV in with a win!!! Agree with your comments about the perfect location for a bar. 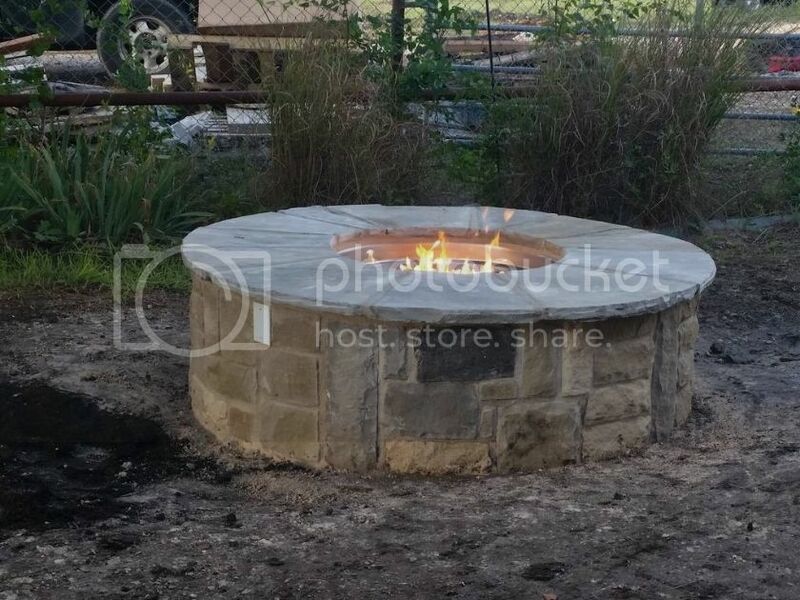 Between the rain, mud and broken down vehicles they have this phase of the fire pit finished. If luck hold and it doesn't rain they have the chance to finish up Saturday. Then just a few tweaks until it's complete. slick4591 wrote: Between the rain, mud and broken down vehicles they have this phase of the fire pit finished. If luck hold and it doesn't rain they have the chance to finish up Saturday. Then just a few tweaks until it's complete. Dang Slick. You’re getting as bad as Dave. I’m gonna need to get me some antidepressants Seriously though, looking mighty fine. Mighty fine.